Cold weather is finally here and that means it’s time to break out your favorite sweaters and nothing is as comfy, cozy and toasty warm as cashmere. 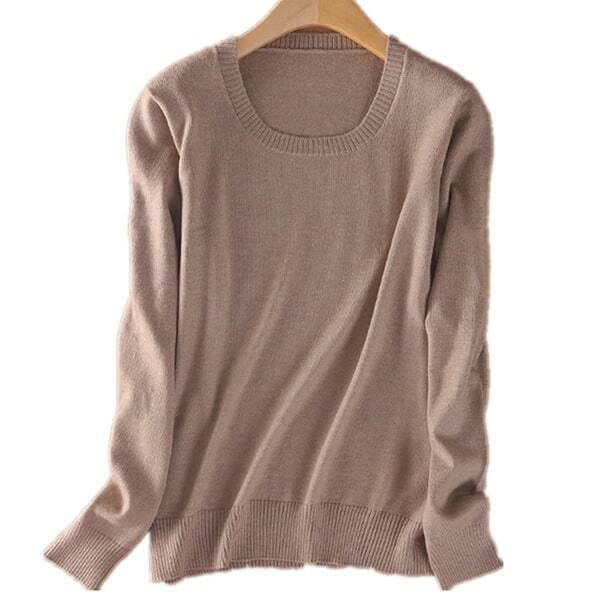 Unfortunately, luxurious cashmere can come with a steep price tag. But we’re here to tell you that it is possible for you to wrap yourself in this fine fabric without breaking the bank. Everlane, the brand that brought you those jeans you’re obsessed with also makes a gorgeous line of cashmere, which they recently launched to retail at only $100! Each of the 4 styles comes in a variety of colors (and has rave reviews from customers). And if you’re looking to really up your cashmere sweater game this fall, we’ve rounded up nine additional retailers that offer up some of the softest cashmere sweaters for under $200 because no one should have to suffer from itchy, scratchy wool all season long. 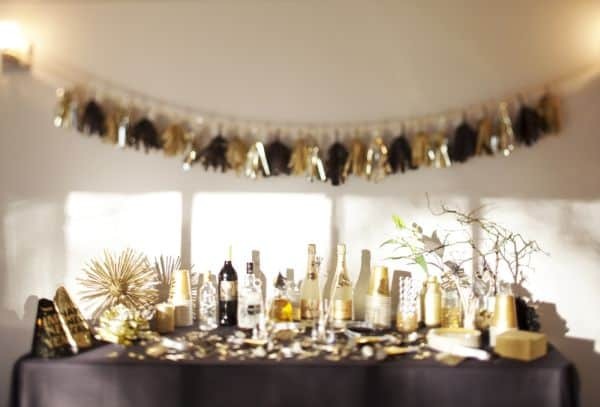 Planning to throw a party to ring in the New Year this year? We have great ideas that are both easy and creative! Make light of New Year’s resolutions by turning them into a guessing game. Give partygoers cards (download the New Year Playing Cards) and have guests finish the sentences with hopeful wishes―or tongue-in-cheek witticisms. Gather the cards, read them aloud randomly, then let the gang try to figure out who wrote what. Dessert: chocolate-bar-fondue with fruit and pound cake for dipping, in a fondue pot. No need for an elaborate menu. Serve these hearty bites for a relaxed but festive celebration. Need a perfect excuse for staying inside and sipping hot chocolate this winter? Now is a good time to lose ourselves in books.These reads are perfect for escaping a snowy day and snuggling up by the fire. From the creative genius behind Mad Men comes a chilling novel about the multitudes of the human psyche. Weiner introduces us to two disparate worlds: privileged Upper East Side Manhattan where Mark and Karen Breakstone live with their beautiful daughter Heather; and the world of former felon, now construction worker, Bobby from poverty stricken Harrison, New Jersey. From the outset, we sense that Heather and Bobby’s paths are destined to cross—and they certainly do—with sinister and surprising consequences. It all begins with a father telling a story to his son on Christmas Eve. But this isn’t your typical Christmas story. The father admits to his son that he’s taken a life but he won’t say whose — not yet. One week earlier, in a hospital late at night, the man met a five-year-old girl with cancer. She’s a smart kid — smart enough to know that she won’t beat cancer by drawing with crayons all day, but it seems to make the adults happy, so she keeps doing it. As the man tells his son about this plucky little girl, he slowly reveals more about himself: while he may be a successful businessman, idolized by the media and his peers, he knows he failed as a parent. Overwhelmed by the responsibility of fatherhood, he took the easy way out and left his wife and little boy twenty years ago to pursue professional success. Now he is left wondering if it’s too late to forge a relationship with his son, who seems to be his opposite in every way — prizing happiness over money, surrounded by loving friends in a cozy town where he feels right at home. If you love being pampered at the spa, but don’t want to pay for that invigorating treatment, then why not create your own rejuvenating experience at home? You can whip up some facial scrubs and masks, and create a decadent massage oil, that will leave you looking like you just left the spa, without spending a fortune! We’ve put together a list of 5 DIY at-home spa treatments for your skin that you can use to enjoy spa indulgences without spending too much time or money. Some spas charge up to a hundred dollars or more for a facial peel that simply burns off dead skin. But we have a way that you can get rid of old, tired skin economically, safely, and naturally. All you need to do is get a lemon, cut it in half, and massage it into your face for 2 to 3 minutes. Leave the lemon juice and pulp on for 5 minutes, wash it off with warm water, and enjoy a clean and fresh face. The citric acid in the lemon is an inexpensive and gentle alternative to more costly spa skin peels. If you have aches and pains (or just want to unwind a bit), you may like getting a massage from time to time. And you might love the massage oils that are used on your body. To make your own massage oil, combine 1/2 cup of coconut oil with 6 drops of lavender essential oil. This massage oil smells great, is ultra-relaxing, and helps alleviate body pain, too. You can make your own deep facial moisturizer with coconut oil and some nice-smelling herbs or oils, or you can opt for using pure coconut oil. Every evening, instead of applying a store-bought face lotion, massage coconut oil onto your cheeks, nose, forehead, and eyelids. Apply it sparingly, but be sure that you use enough so your skin feels supple afterwards. It’s easy to make a hydrating milk body scrub. Mix 1/2 cup sea salt, 1/4 cup coconut milk or almond milk, 1 tablespoon almond oil, and 2 drops of lavender essential oils together. Lather your milk scrub all over your body when you’re in the shower. Allow it to soak in as you scrub your feet or wash your hair. Then rinse it off, and you’ll feel softer skin immediately. 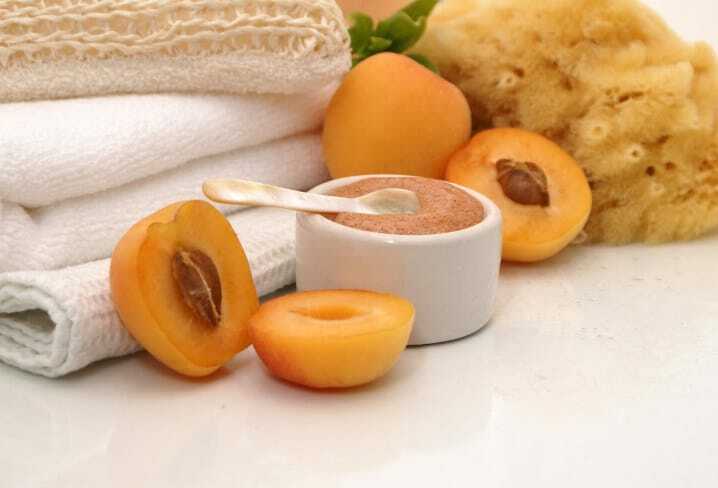 Treat your face to a DIY spa scrub by stirring together 1 cup of organic sugar, 1/4 cup apricot kernel oil, and 3 drops of pure almond oil together. This will give you a big enough batch of face scrub that you can store it (well covered) and use it for up to 3 weeks. All you need to do is massage a bit of the scrub into your face every day to enjoy glowing, radiant skin. Leave the husbands and kids at home! There’s nothing like a getaway to spend some bonding time with your girlfriends while discovering a new city. These weekends create unforgettable memories and also give you a much-needed recharge from the daily grind. San Diego is an enormous city with many different districts, some of which are basically cities in and of themselves. Most of the tourist attractions are located close to the downtown core, known as the Gaslamp Quarter, which is also the most walkable part of the city. This part of San Diego is close to the airport and has public transportation to many surrounding areas, making it perfect for car-less visitors. It is easy to find a good hotel deal in one of the many downtown hotels that cater to business travelers, like the Omni, Hilton, and Marriott. If you have your own car and prefer a beach-themed vacation, consider staying in one of the many beachfront communities along the coast, like La Jolla, Mission Beach, or Point Loma. You will probably pay more for a hotel in these areas, but you will be able to enjoy a laid back atmosphere with prime access to the area’s beaches. With Mexico just a stone’s throw away, San Diego is the place to eat SoCal-style Mexican food. Fish and shrimp tacos are particularly popular. Some great places to try fish tacos are Casa Guadalajara in Old Town and Fat Fish in Pacific Beach. San Diego is well known for its many craft breweries. Grab a designated driver and head out to one of the more established ones like Stone Brewery or Ballast Point where they serve up excellent pub menus with stellar pairings. Aside from beach frolicking (always an option), there are a ton of fun things to do with your girlfriends in San Diego. The Gaslamp District is a good starting point with its historic architecture, convention center, and the kitschy Seaport Village. History buffs can take the tram to the Spanish inspired Old Town area. Then there is the iconic San Diego Zoo (it’s not just for kids), and the adjoining Balboa Park, which is decorated with numerous museums, beautiful gardens, and the Spanish Village Craft Center. The Old Globe Theater is a replica of London’s Globe Theater and shows Shakespearian and contemporary plays. On a sunny afternoon take a ferry from downtown to Coronado. Here you’ll find lovely beaches, local breweries, and the historic Coronado Hotel, which was featured in the classic movie Some Like it Hot. San Diego enjoys near perfect weather year round, but be sure to get a travel insurance policy before your trip to better plan for the unexpected. Happy Hours are a huge part of San Diego culture and most of the bars downtown offer fantastic early evening specials with food and drink for up to half off. This is a great way to sample some of the many fantastic local beers. Some of the best happy hours in the Gaslamp Quarter are at Taste and Thirst, Las Hadas, and Funky Garcia’s. Of course, if you’re feeling really crazy, Tijuana is just a short bus ride away. It’s easy to cross over the border for just a day or an evening, but you will need your passport. Many local companies offer pub hopping and brewery tours South of the Border, which will ensure that you return safely and on time. Brussels sprouts are a popular side dish this time of year, and I love to pair sweet ingredients with their lightly bitter tang. This side dish is easy, very satisfying, and a great way to please any appetite. In a pan Brown pancetta (let oil cool). In a large Ziploc bag add Brussel sprouts, pancetta with oil, fig jam and garlic salt). Shake all ingredients to coat. Bake at 400 degrees for 45 min or until tender and brown. Getting a gift for your boyfriend (or ANY man, for that matter) during the holidays can be stressful. Reading his mind is basically impossible, but if you’re in panic mode, these goodies will help get you started. Because now he can track workouts, heart rate, distance, calories burned, floors climbed, active minutes and steps. Plus, monitor how long and how well you’ve been sleeping (YES!) and can even receive texts and calls at a glance when you’re on the move. Oh, and did we mention it’s water resistant?! Best Seller: Deluxe guy-related grooming and skincare (and more!) product samples delivered to your door every month. Let him test out new things each and every month. He’ll love it! New and improved and getting smarter all the time. Hands-free, ask Alexa anything and she’ll answer. For real, she has 1M answers. It’s pretty fun and helpful all at the same time. Weather, questions, horoscopes, stocks, traffic? Done and done. Plus listen to music because, music! Very masculine scent and refreshing for any time of year, plus everyone is always obsessed with the bottle which, itself, is like a work of art. One of the most exciting times of the holiday season is seeing kids’ faces light up with joy as they unwrap all the exciting goodies and presents. But sometimes figuring out what exactly to get the little ones can be a challenging task! 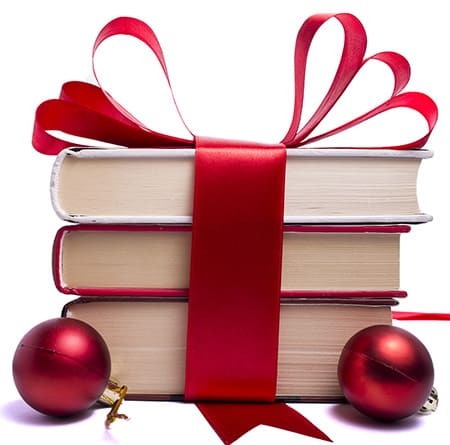 We’ve rounded up the top stocking stuffer ideas for kids of all ages this season. Kids can put an object (like a pretty leaf or flower) on this photosensitive paper and expose it to the sun for a cool piece of keepsake art. These little windup toys ($25) fit perfectly in stockings. With every teen sporting an iPhone this year, the easiest way to avoid losing identical chargers after sleepovers is to differentiate their charger with a cool sticker set ($13). Fidget Spinners are so yesterday. Drop a Tumblstix into each stocking, and your kids will out of your hair learning new tricks for the rest of vacation. This new gadget challenges kids to use their balancing acts while giving them a serious hand-eye coordination workout. Bonus points for the light-up special effects. This mini memory match game has 12 pairs of adorable illustrations of animals from all different kinds of habitats including farm, woodland, and safari—all on circular game pieces. Tucked away neatly in a little box, it’s a perfect stocking stuffer. This fingernail kit comes with 25 animal stickers that are perfectly sized for little digits. Look for tigers, pandas, monkeys and more! Whether you’re prepping brunch for a group or cooking ahead for breakfasts for the workweek, you can never go wrong with a good old-fashioned egg! This Brunch Eggs recipe is super easy, delicious and will definitely satisfy your appetite! Sprinkle Munster cheese liberally over raw eggs and sausage. Bake at 375 for 10-15 min until set. It’s the most wonderful time of the year! With the holiday season right around the corner, it’s time to begin checking off all the people on your list. This year, we’ve rounded up a few stocking-sized gift ideas to help you put a big smile on your dad’s face! Anything “survival” themed is a hot item this Christmas, and this paracord survival bracelet is a great gift for any dad who loves outdoor activities like hiking, biking, hunting or rock climbing. It features heavy duty rope for the toughest situations, a compass, even an extra loud whistle. This bracelet comes in orange/grey or purple/grey color combinations and is super lightweight, so dad can take it on any adventure. There is nothing worse than a warm beer, and dads love gifts that help them keep their beers cold. Beer coozies are the usual go-to for stocking stuffers, but why not spoil dad with something even better? Chill Sticks are freezable inserts that replace a beer cap and keep any long neck beer bottle nice and cold while you are drinking it. The cap fits long necked bottles perfectly so that your beer will not go flat either. These small, lightweight sports headphones would make a great stocking stuffer for any dad. They are designed with bluetooth connectivity for wireless access while dad is running, walking, biking or doing any other activity where he would not want pesky cords getting in the way. They have an adjustable ear hook for a custom fit and have amazing sound quality. These come in three color combos – solid black, black and green or black and yellow. Get your husband a pair of tickets to see his favorite team play. Encourage him to take your son or daughter to share his love of sports. Tickets range in price from $10 to several hundred dollars. Buy a pair of reasonably priced seats, or get cheap seats for the whole family. Available at Ticketmaster.com (price varies).